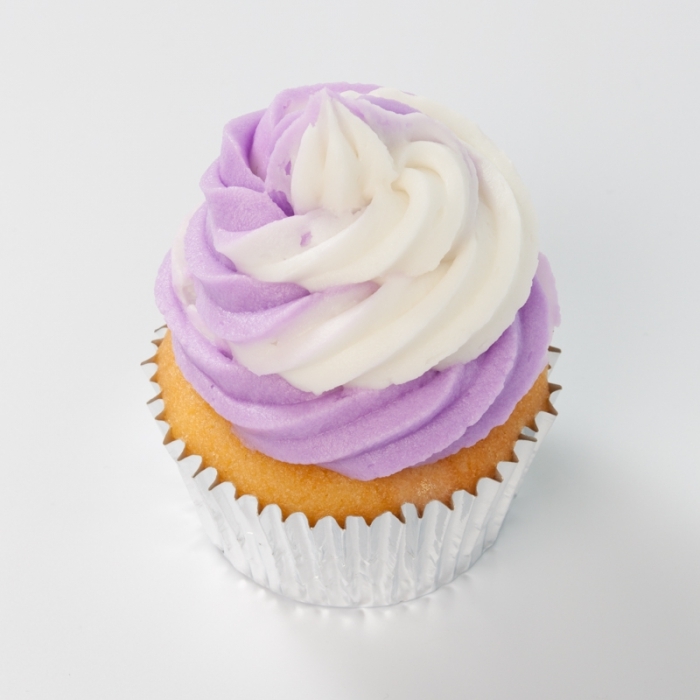 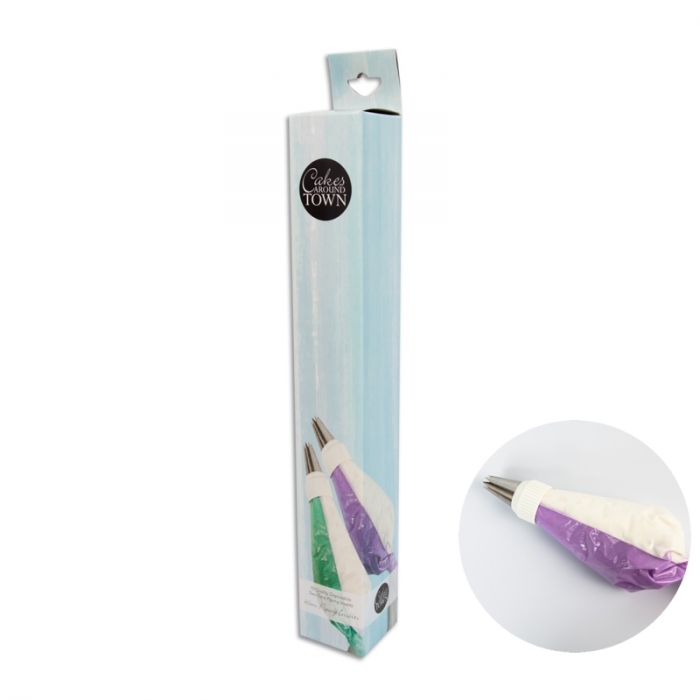 These great two colour piping bag inserts allow you to pipe two colours at once. 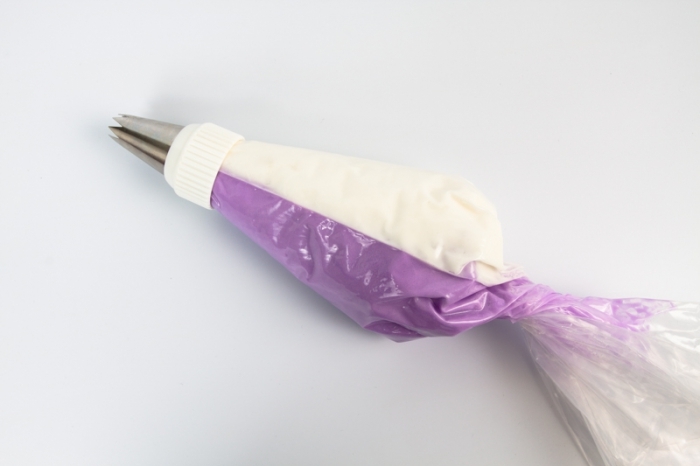 Professional high quality, sturdy plastic disposable icing bag inserts. 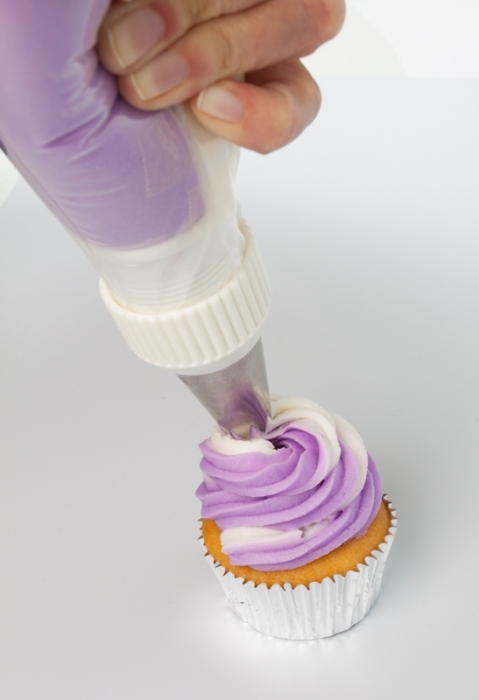 Price is for set of 10 piping bags only, no icing included.